Cherry Almond - Your new Favorite Everything! Remember last summer when Aveda came out with a new shampoo and conditioner called Cherry Almond? 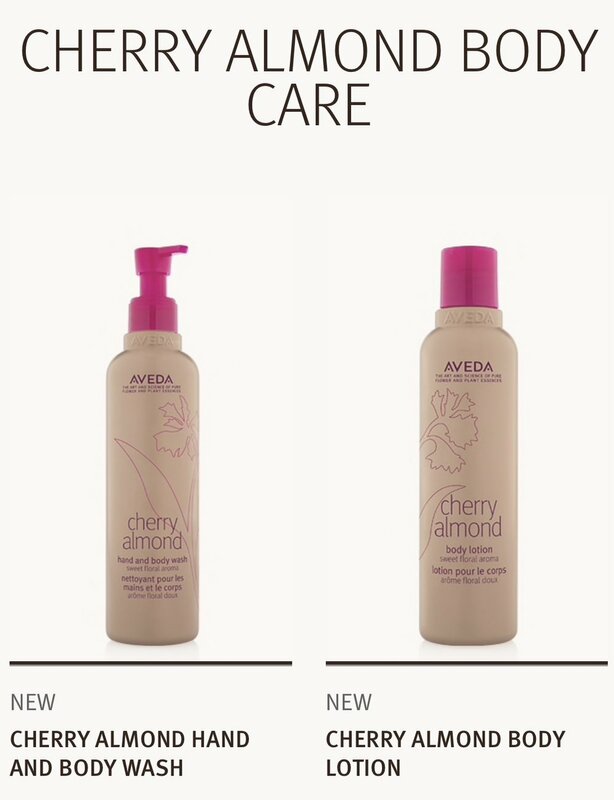 Well our beauty dreams have come true and Aveda will debut a Cherry Almond lotion and body wash this April! Did you know that the Cherry Almond aroma has been around since the early Aveda days? This latest product from a is actually a comeback kid! Fans of this fragrance kept asking to bring it back and here it is in all of our favorite forms. So, here is the scoop! ALL of the Cherry Almond products are 97% naturally derived. They are made from a blend of cherry blossom extract and sweet almond oil. The BEST part about these products is that they are cruelty free and NEVER tested on animals. Now let’s get into the new product details. The Cherry Almond Body Wash will be found on our shelves for $23. It’s formulated to cleanse and nourish your skin and is perfect for all skin types so everyone can enjoy it. The Cherry Almond Lotion retails for $27. The texture is lightweight and fast absorbing. It’s formulated to give you all day moisture as is ideal for normal to dry skin types. We can’t wait for these new products to come in! The Cherry Almond Body Wash and Lotion will hit our retail shelves at the end of this month. You better believe we have testers so come in and try them out!